The plum blossoms are in full bloom now, but today is quite cold..March is described like “four-day warm after three-day cold”. That’s exactly. Can’t wait for spring really come. 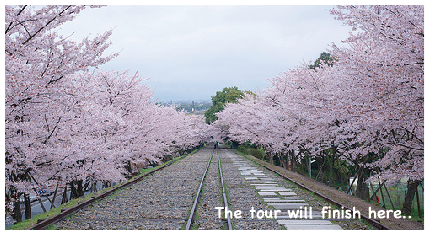 Green Tour Kyoto’s next hiking will be held during a cherry blossom season in April. Keep walking for about 2 hours, finally arrive at Keage area and enjoy the popular spots for cherry blossoms again. 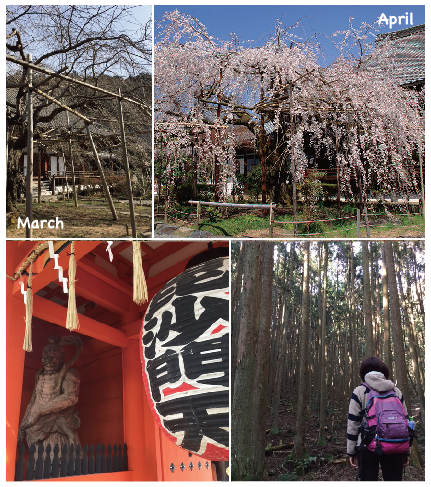 So, for this time, the hiking will start with sakura and finish with sakura. Look gorgeous, don’t miss it! Meet at JR Yamashina Station (don’t worry, the exit is only one) at 8:30. 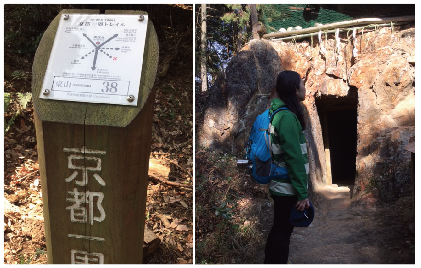 (within a few minute-walk from Yamashina Station on Subway Tozai line or Keihan line) The hiking will finish around 12:30-1:00pm. *Please bring a 500ml bottle of water for cooking soup.